Eva started her musical education when she was 6 years old. Now she plays different types of recorders, flute, piano and violin. Also she sings. 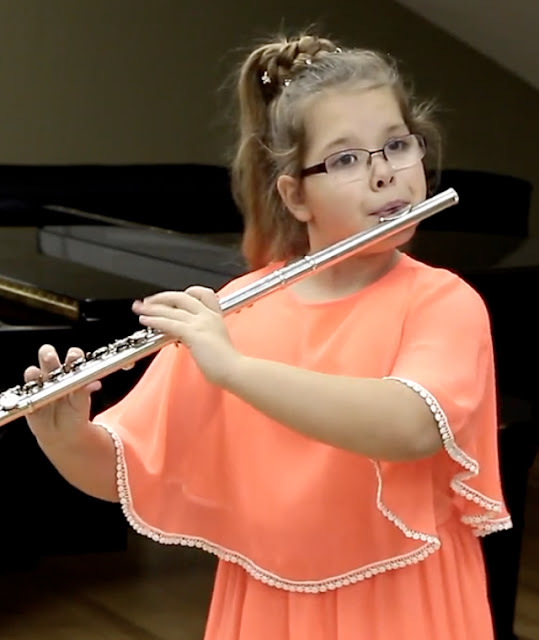 Eva began to play the flute in the autumn of 2015. Since that time she took part in tens of concerts playing also with orchestras. Eva is a winner of several Russian and international competitions. Sonata in F-minor, I mov. G.F.Teleman. 2:01 min. Sonata in F-minor, IV mov. G.F.Teleman. 1:53 min.